The demo will provide full functionality. If you're happy, you can continue the VPS service with the same data and configuration. FXVM Lite VPS Package: 1024MB of RAM, 50GB of Storage (SSD), 1x CPU Core, Dedicated IP address and Windows Server 2008 or 2012. Test our FXVM Lite VPS package for 7 days. You can continue the service with the same data and configuration after the 7 days trial has ended. 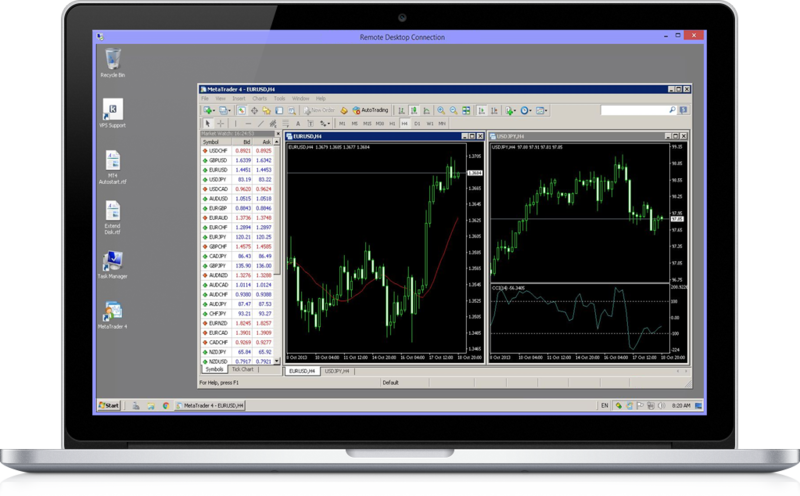 After ordering a Forex VPS plan, you will receive login information for a remote Windows desktop, which can be used with any RDP client. You can also connect using web client available in the Client Area.